This module focuses on two approaches to developing and implementing a vision. First (and primarily), participants will consider, develop and implement their own vision for professional learning. At the same time, participants will also consider the vision of their primary clientele, and oftentimes, this manifests itself in some way, within one's own vision for professional development. 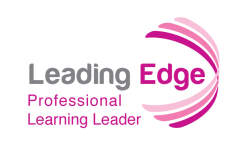 This is an exciting module that helps solidify one's own experiences in professional learning and how that has created the kind of professional learning opportunities each participant provides. Professional learning leaders are often placed into positions of leadership because they have innate qualities. This module helps articulate the background and research that supports those innate qualities. In addition, for those professional learning leaders that already have a clear vision, ensuring that vision is implemented with integrity is also a goal of this module.